Our pre-breakfast walk around the hotel grounds was a little disappointing as there were not many hummers coming to the feeder nor was there many birds in the bushes. 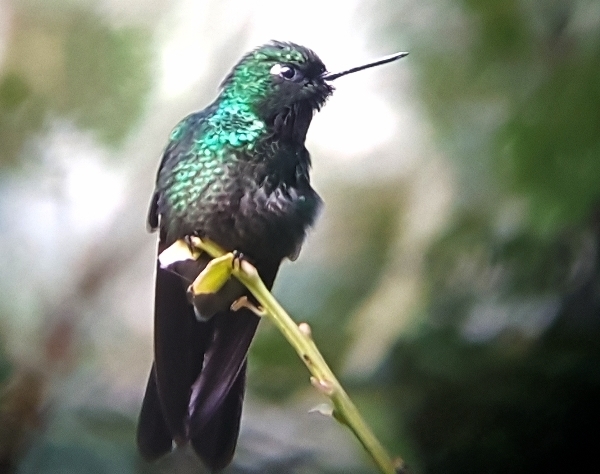 We saw several species of hummers that we had seen yesterday and only the Lacrimose Mountain Tanager was of note as far as other passerines were concerned. Breakfast was taken at 7am, we then loaded up the bus with our luggage and jumped on. 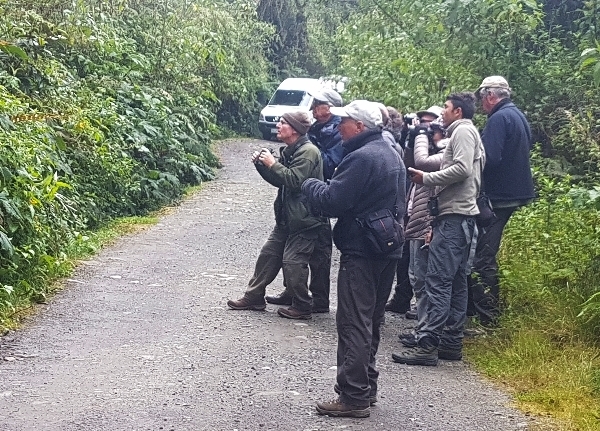 We only drove a few kilometers along the Manizales Track before we all got off for a birding walking. We spent about 3 hours walking the track and once again we did not bump into any large feeding flocks, we did however find several small flocks containing half a dozen species or so. 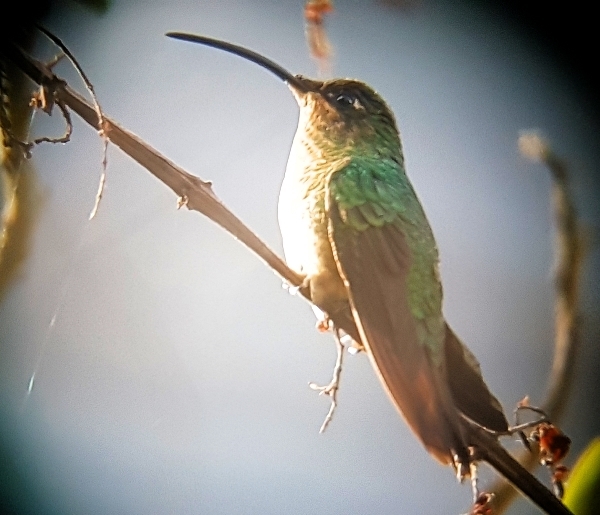 We added a few new birds to our tour list one of which was an important find, the Purple-backed Thornbill (hummingbird), others included the beautiful Black-collared Jay, our first Hemispingus – Superciliaried Hemispingus, also Barred Woodpecker and a Sharp-shinned Hawk. Two stake-outs were made for the very elusive Spillman’s Tapaculo, this skulking little tyke eventually showed well for all of us. 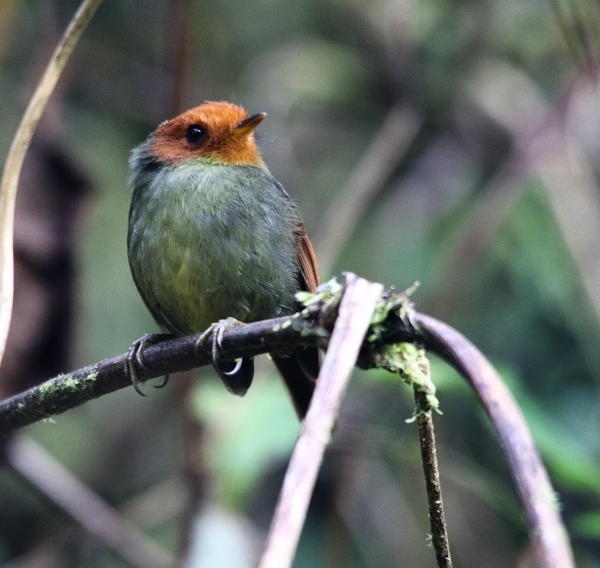 Another elusive species was our fourth Antipitta of the trip, the Chestnut-capped Antipitta, this bird actually walked across the track whilst we were scanning the forest for it! Three of the group saw a small flock of Scaly-naped Parrots that flew over and were pointed out by Johnnier our guide. 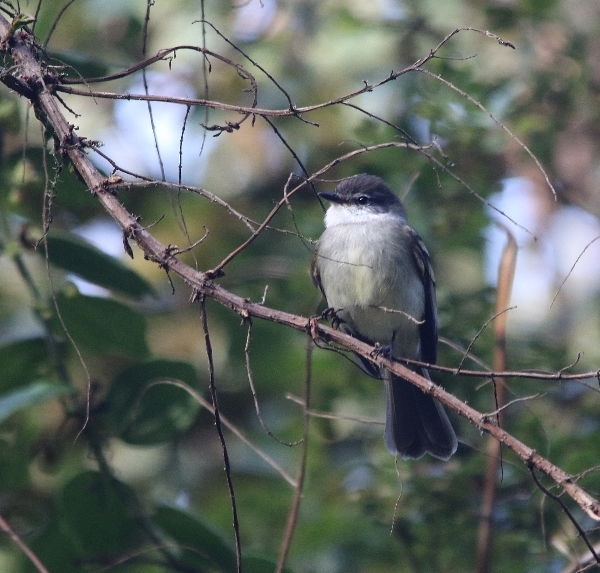 It was 12 noon by the time we jumped back on the bus, we had seen about 40 species in all and most of us had much better views of a number of species including the large, Hooded Mountain Tanager, also White-throated and White-banded Tyrannulets. We ate lunch in a restaurant in the centre of Manizales before taking the rest of the day to travel to Jardin. It was a long and tedious drive because for almost all of the way there were roadworks, it seems as though every road in Colombia is being upgraded, very slowly. Our one coffee stop about halfway, produced three new species for the list. The roadside restaurant had a lovely view over meadows and hill and nearby trees held several species of birds. 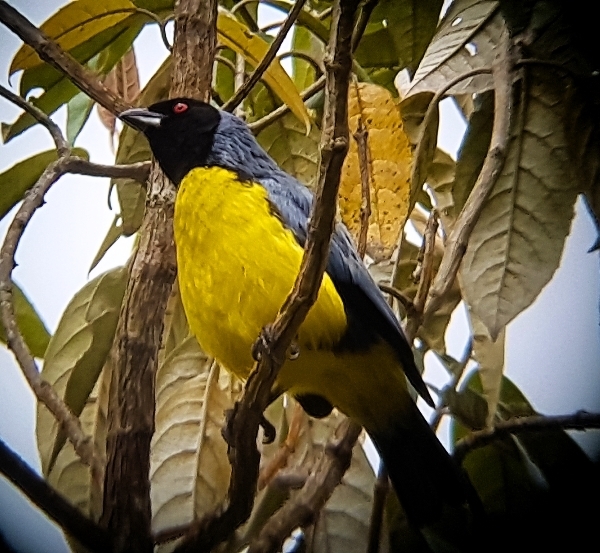 We saw a pair of Blue Dacnis, Clay-coloured Thrush and the beautiful Guira Tanager. Dinner was also taken at a ‘Ranchero’ about an hour out of Jardin and we arrived at our hotel at 8:30pm. We all went straight to our rooms for some relaxation, the bird-log was not called but I can tell you that we have seen around 360 species so far. Another early start tomorrow will see us setting off to the Yellow-eared Parrot Reserve, another high altitude reserve sitting at 3000 meters.